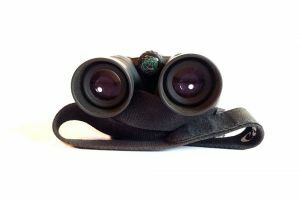 At TLC we’ve been around the block with binoculars over the years and have tried and used many different pairs with varying results. In this review we just cut to our conclusions so that it saves you endless searching and pots of money – we don’t think you’ll be disappointed. This isn’t a ‘new out of the box’ review but one that’s been prepared from hard practical use in the field. 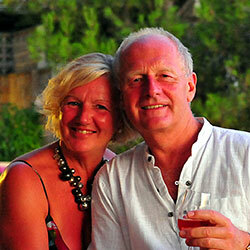 We think they take some beating because they’ve taken some beating! We’ve been using ours for about five years and although there’s a newer model (III) there’s precious little difference between them other than slightly extended battery life – both models are available. What do you want binoculars for? There’s no ‘best pair of binoculars’, its more about which are the best pair for the use you have in mind. 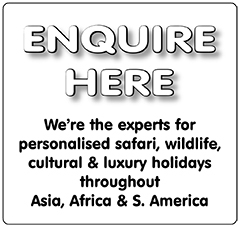 Our recommend is based on our favourite choice for travel, bird and wildlife; where we want a relatively high magnification, bright/light quality image with ease of carrying and hand-held use ie. not too heavy. Ours has also stood up to dropping onto vehicle floors and rolling around in 4x4s without any adverse effects to its operation or quality of image. The Canon 12×36 II IS annotation, when translated, means the following. 12×36 refers to a twelve times magnification (which is probably the highest you’ll ever want to go if its hand-held, as the image will jump all over the place without support – and 36mm diameter ‘Objective’ lenses (the big ones at the front), which ensure a bright well illuminated image. 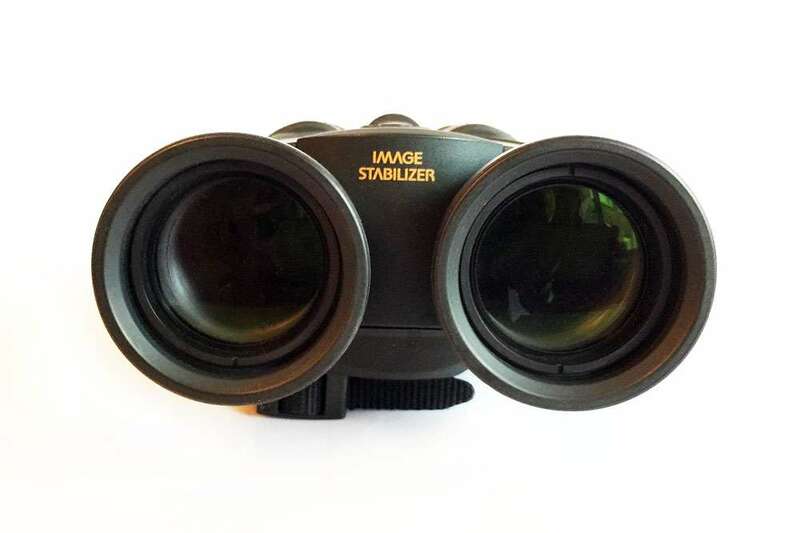 Reducing the size of either reduces both magnification and the amount of light entering the binoculars, with the obvious compromises these bring. 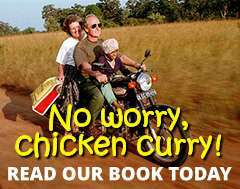 IS refers to Image Stabilisation – or in our mind ‘It’s Superb’! We’ve found this to be an unnecessary addition on long focal length lenses for our SLR cameras but on the Canon binoculars its brilliant. As the 12x magnification is at the extreme end of what you want to hand hold, the IS facility, in the words of Canon ‘within two thousandths of a second of being shaken off the optical axis by vibrations, the Image Stabilisation mechanism swings into action to correct the incoming light path by precisely the right amount, which effectively eliminates any hand shake giving you a steady image.’ It works! When you require it, IS is activated by depressing a large button that falls readily to fingertip on the top of the binoculars. We can’t praise this too highly. Canon claim about four hours continuous use for the batteries to run this facility but we’ve been using it on and off for years and haven’t yet replaced the batteries. II refers to this model being the second in this Canon series, which is more compact and usable than the first in the series. 5º refers to the angle of the field, or width, of vision at 1000m, which in this case is approx 75m at 1000m (260ft at 1000yds) – meaning that without moving the binoculars you will capture an image 75mtrs wide at 1000mtrs distance. 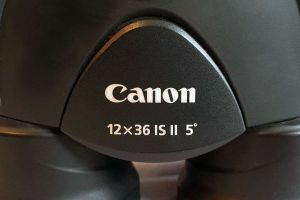 There are numerous alternatives to the Canons, with the same numbers for magnification and lens diameter but as with most things – you get what you pay for. 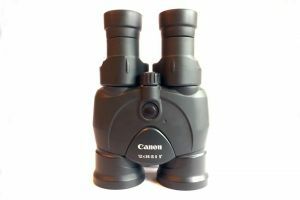 Canon is a world renowned manufacturer of high quality equipment and their binoculars continue this tradition. Unless you’re going to buy from a similar standard of manufacturer you’ll be compromising the quality of your whole experience. 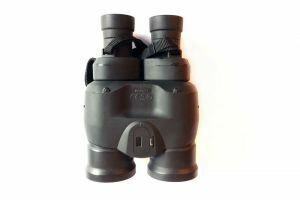 Weighing in at 660g (23ozs) these substantial hard-rubber coated binoculars (that fall into the ‘mid-size’ category) are surprisingly light for their excellent capabilities. Without getting too technical, they have a ‘long eye’ measurement of 14mm which enables spectacle wearers to use them and Canon’s Super Spectra lens coatings on Doublet Field Flattener lenses deliver high contrast, vivid images with authentic colour balance, whilst dispensing with internal reflections that cause ‘flare’ and image ‘wash out’. The Pro’s and Con’s as we see them. Not waterproof (albeit we’ve been in very light rain without adverse effect); beyond that we’re not waterproof either so are less likely to need it. Admittedly we’ve used our bins in some extreme conditions,; including deserts, tropical rain forests, jungles and mountains but we’re surprised that the coating on the hard rubber is deteriorating and peeling – it looks as though its got sunburn! Needless to say, if we ever lost our Canon 21×36’s we’d replace them with exactly the same model – they’re simply excellent. 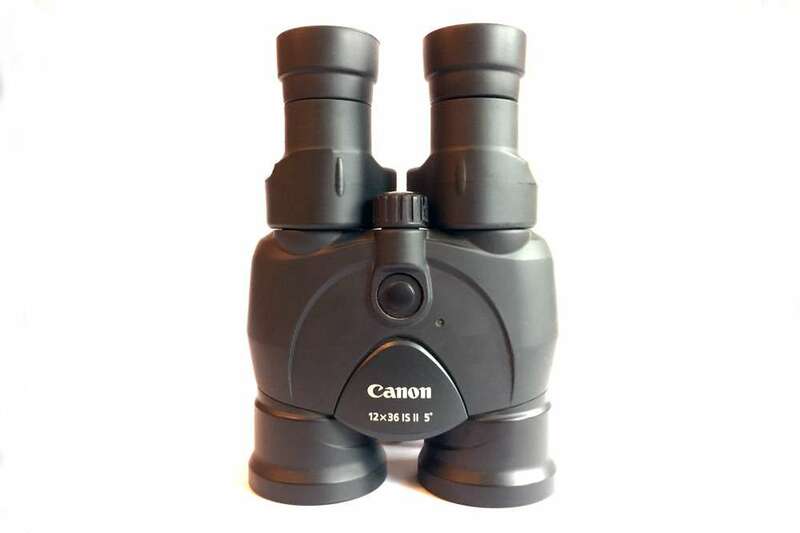 We’d award the Canon 12×36 II IS Binoculars a 9 out of 10 – failing only in the deteriorating body shell coating and the lack of lens covers. All in all a superb set of bins! If you’re considering comparing prices or buying either the II or III model simply follow the relevant link below. More information on choosing binoculars for the first time – if you want all the boring technical stuff before you come back here to buy the Canons anyway!